Most well-nourished adults get sufficient vitamin E from natural sources. However, some of those on low-fat diets may not consume sufficient vitamin E, and those who are deficient in zinc are more likely to be deficient in vitamin E as well. Also, infants who are premature or have very low birth weights may suffer from vitamin E deficiency. There are certain disorders and genetic abnormalities that can cause vitamin E deficiency. Conditions such as Crohn’s disease and cystic fibrosis may interfere with the absorption of vitamin E. In such cases, specialized water-soluble vitamin E supplements may be prescribed. Research regarding vitamin E’s ability to protect against cancer has yielded mixed results, with some studies finding reduced incidence of various cancers among those consuming more vitamin E and others finding no benefits (National Institutes of Health, 2011). One of the more promising studies, which tracked bladder cancer mortality among nearly 1,000,000 individuals in the United States over 16 years, found a correlation between long-term vitamin E supplementation and reduced likelihood of dying of bladder cancer (Jacobs et al., 2002). However, another study found an increased risk of prostate cancer with high-dose vitamin E supplementation (Klein et al., 2011). Some research suggests that vitamin E may either help prevent or delay the onset of heart disease, as well as the forming of blood clots that can cause heart attacks. A study of 90,000 nurses found that heart disease incidence was 30-40% lower in those with higher vitamin E intake (Stampfer et al, 1993). However, another study, which followed 10,000 people over nearly 5 years, found no cardiovascular benefits from vitamin E supplementation (Jialal & Devaraj, 2000). In addition, a more recent study (Sesso et al., 2008) also found no cardiovascular benefits with vitamin E supplementation. Furthermore, the findings of a recent large-scale study suggest that long-term consumption of high-dose vitamin E supplements may actually increase the risk of developing heart disease in some people (Lonn et al., 2011). Health Canada (2006) notes that many vitamin E studies have focused on relatively high-risk populations, such as people over 55 years of age who already suffer from diabetes or heart disease, cancer survivors, and those with other risk factors for these diseases, so the results may not be generalizable to other populations. However, given the potential risks, taking high-dose supplements over the long term is not recommended. Although some evidence suggests that vitamin E plays a role in these health problems, more research is required to confirm vitamin E’s benefits for these conditions (in other words, it’s not known for sure whether or not vitamin E supplementation would be useful). It’s possible that vitamin E supplementation provides benefits for these conditions, but more research is needed to confirm or disprove this. Large doses of vitamin E may cause bleeding problems, and vitamin E may interact adversely with certain medications. In rare cases, high doses of vitamin E have caused kidney problems, dizziness, weakness, headache, fatigue, and blurred vision. Topical vitamin E preparations may cause eczema or contact dermatitis in certain individuals. According to Health Canada (2006), taking vitamin E supplements of up to 40 IU is considered safe for most healthy people. However, various studies suggest that taking megadoses of 400 IU or more may increase the risk of disease in some individuals. There are also certain medications and medical conditions that can make supplementation dangerous. Those considering supplements should consult a health care provider before proceeding. Health Canada. (14 December 2006). 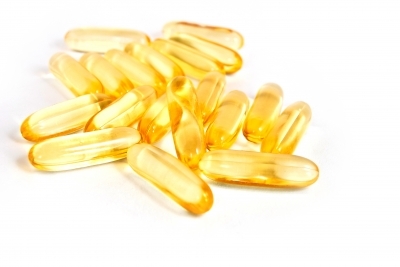 “The Safety of Vitamin E Supplements.” HC-SC.GC.CA. Jacobs, E.J. ; Henion, A.K. ; Briggs, P.J. ; Connell, C.J. ; McCullough, M.L. ; Jonas, C.R. ; et al. (2002). “Vitamin C and Vitamin E Supplement Use and Bladder Cancer Mortality in a Large Cohort of US Men and Women.” American Journal of Epidemiology, 156, 1,002-1,010. Jialal, I., & Devaraj, S. (2000). “Vitamin E Supplementation and Cardiovascular Events in High-Risk Patients.” New England Journal of Medicine, 342, 154-160. Klein, E.A. ; Thompson, Jr., I.M. ; Tangen, C.M. ; Crowley, J.J.; Lucia, M.S. ; Goodman, P.J. ; et al. (2011). “Vitamin E and the Risk of Prostate Cancer: the Selenium and Vitamin E Cancer Prevention Trial (SELECT).” Journal of the American Medical Association (JAMA), 306, 1,549-1,556. Lonn, E.; Bosch, J.; Yusuf, S.; Sheridan, P.; Pogue, J.; Arnold, J.M. ; et al. ; HOPE and HOPE-TOO Trial Investigators. (2011). “Effects of Long-Term Vitamin E Supplementation on Cardiovascular Events and Cancer: A Randomized Controlled Trial.” Journal of the American Medical Association (JAMA), 293, 1,338-1,347. Mayo Foundation for Medical Education and Research. (1 October 2011). “Vitamin E.” MayoClinic.com. Office of Dietary Supplements, National Institutes of Health. (11 October 2011). “Vitamin E.” ODS.OD.NIH.gov. Sesso, H.D. ; Buring, J.E. ; Christen, W.G. ; Kurth, T.; Belanger, C.; MacFadyen, J.; et al. (2008). “Vitamins E and C in the Prevention of Cardiovascular Disease in Men: The Physicians’ Health Study II Randomized Controlled Trial.” Journal of the American Medical Association (JAMA), 300, 2,123-2,133. Stampfer, M.J.; Hennekens, C.H. ; Manson, J.E. ; Colditz, G.A. ; Rosner, B.; & Willett, W.C. (1993). ” Vitamin E Consumption and the Risk of Coronary Disease in Women.” New England Journal of Medicine, 328, 1,444-1,449.